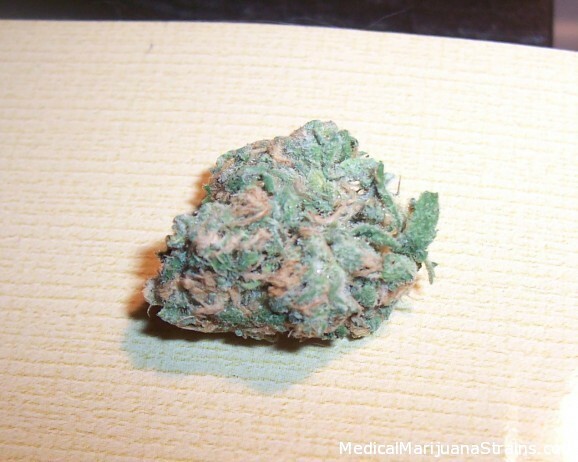 Looks: Bright green with a good amount of crystals, Bright and dark orange hairs through out the whole nugget. Smell: Very mild sent of earth and tangerine, once you break open the bud you get a faint hint of chlorine. Taste: The taste is light on the pallet, earthy with a smooth yet some what tart tangerine finish. The taste of tangerine stays on the pallet for several minuets. Effects: Indica like effects right after the first hit, with every hit you will feel more relaxed and sink deeper in to your couch. Great for Insomnia, Secures, Stiff muscles, Aces, Pain and headaches.